Thanks to two straight AFC wins, the Bills are starting to climb out of the basement of the conference. They also have increased their playoff odds from <.1% to 1%, according to ESPN’s Power Football Index (FPI). ESPN released their annual Playoff Machine this week so you can have some fun with that if you’d like. Before the Jets game, the Bills had the 4th pick in the draft. Due to their 2-game win streak, they have fallen five spots. Everyone has their opinion on if those past two games were worth dropping five spots, but I can tell you sending Jalen Ramsey and Doug Marrone home with a L sure felt nice, especially considering all the trash talk before the game. On this end, despite the winning streak, the Bills haven’t been able to move up much in the playoff pecking order. The good news for fans thinking of playoffs in the flurry of conference games that they have left. A miracle run could be made, but it truly would take a miracle, including that game with the Patriots. I am not holding my breath. The Dolphins aren’t a terrible team, so this week won’t be automatic for Buffalo. There is all the info you need this week, follow us on Twitter at @BuffAuthority for all the latest! 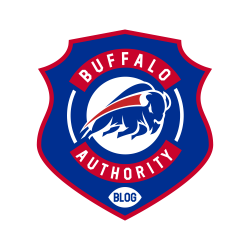 This entry was posted in Analysis, Game Previews and tagged Bills Blog, Buffalo Authority, Buffalo Authority Blog, Buffalo Bills, NFL Draft, NFL Playoffs. Bookmark the permalink.